Home | Digestion & Superfoods | Superfoods | Apple Cider Vinegar | Apple Cider Vinegar 480 mg.
Other Ingredients: Dicalcium Phosphate, Vegetable Cellulose, Crosscarmellose Sodium. Contains <2% of: Silica, Vegetable Magnesium Stearate, Vegetable Stearic Acid. Apple Cider Vinegar 480mg is rated 3.9 out of 5 by 7. Rated 5 out of 5 by Julie from Great apple cider pills very happy with my purchase Love that they made a pill out of apple cider viniger. Love them although they have the strong smell its nothing compared to having to drink it from the bottle. Rated 4 out of 5 by karengumdrop from excellent product I love this as I take a tablespoon of vinegar each day twice a day and now it is portable if I an in a hurry. Rated 5 out of 5 by Woody from Easy to use. It sure beats trying to drink the real stuff! Rated 5 out of 5 by bill from Outstanding! We both enjoy the quality of this product and will buy it again! We found the dilivery a little slow, but every other aspect exceeded our expectations. Quality was outstanding and we have shopped around, so value is the best. Rated 2 out of 5 by JoJo from Not what I expected. Not what I expect. Was hoping for a better result. Rated 5 out of 5 by JeanneF from Gentle Daily Metabolism Boost Have been taking Vitamin World's Apple Cider Vinegar Tablets for a number of years now - 2 tablets, twice a day, at breakfast and dinner. Promotes gentle regularity. Tried other brands in the past; lack the quality of this product. 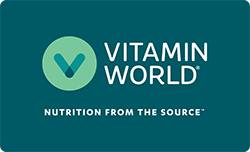 Always happy when Vitamin World offers BOGO or promotional sales on this item. Am a satisfied, repeat customer.